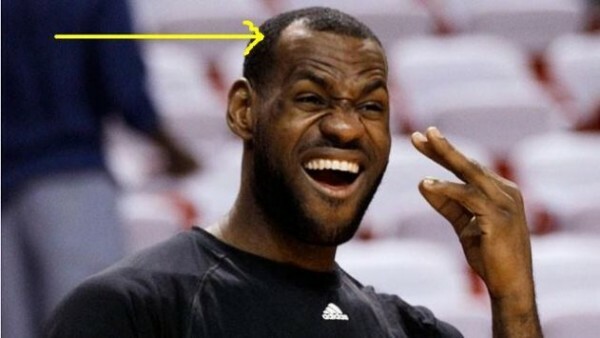 Who Cares About Shoes When LeBron James has New Hair? 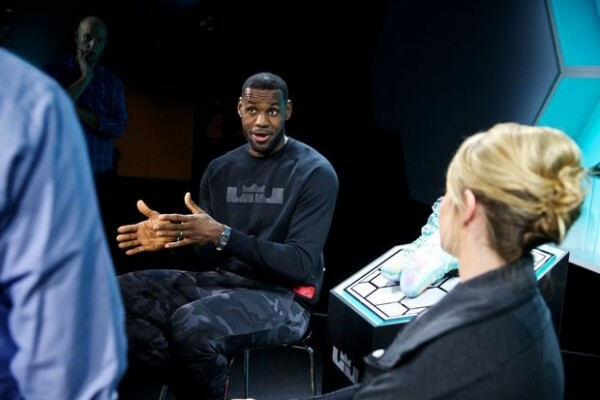 While the purpose of the gathering at Nike’s headquarters was the unveiling of another new pair of shoes in the LeBron James line, his new hair, hiding any signs of baldness or growing bald, seemed to grab most of the attention. Two weeks before training camp begins, James was at the unveiling of the new shoe, the LeBron 12, which is going to cost $200. The design features multicolored hexagonal cushions on the soles. It retails for $200, and versions of it will start hitting stores next month. But wait a minute. While Nike and James tried using the bright colors and lights to distract everyone, it was impossible not to notice who smaller his forehead became all of a sudden. Nothing on his head to hide the fact that he’s going bald because all of a sudden, there’s hair everywhere, like it’s 2003 all over again. Does it actually matter? No, not really. But there’s no basketball going on at the moment. The Basketball World Cup is over, and now is really dead time, until training camps begin with players getting cut before preseason. There will be plenty of talk then about how the Cavs are shaping up with James, Kevin Love and Kyrie Irving in the lineup together. However, until then, minuscule and unimportant things have a chance to top the headlines. James isn’t the first or last superstar athlete to notice that his hair is fading away before he has even celebrated his 30th birthday, deciding it’s time to take care of this thing, which is always something of an elephant in the room, especially when you’re on of the most famous people on the planet and doing quite a lot to try and hide by strategically positioning your headband. Maybe now we’ll see James without one of his most noticeable add-ons? Time will tell. He has been wearing that thing for most of his career, even when he was a 19-20 year old rookie, who wasn’t worried about growing bald too soon, so it’s probably going to be quite difficult saying goodbye. However, as long as we don’t have actual basketball to focus on, his hair makes an excellent piece of talking issue, even more than his new shoes.